During the 2016 election cycle the world seemed to zero in on former reality star Donald Trump’s love of Twitter. Suddenly, everyone knew what Twitter was. The world watched, mouths agape, as the election played out over the microblogging platform before our very eyes. Even as President, Trump still uses Twitter multiple times a day, conventions be darned. Trump is unique in this way. Unlike rival Hillary Clinton and many politicians before him, Trump does not have staff manage his account. Some think this lends to his unique persona and some think his Tweets err on the side of unprofessional. Regardless of what side of the aisle you fall on when it comes to the POTUS’ Tweets, there are best practices for Twitter and simple things you can do to make your Twitter account effective. Today we’ll discuss the basics of Twitter and why it’s a useful campaign tool. Twitter is a platform made up of moving parts. Tweets are the 140-character messages users send out via their accounts. Twitter’s feed serves the same purpose as Facebook’s. In this instance it’s far more common to follow users who match your interests, not just people you know. Your followers’ Tweets will show up in your feed, along with Tweets your followers have liked. Hashtags (#) turn words or phrases into searchable terms. Log on to see what hashtags are popular by looking over under the “Trends” tab to the left of your Twitter feed. The “Moments” tab brings Twitter’s top stories to the forefront. Use this tab to find news, entertainment and sports articles that pique your interest. The “Notifications” tab does exactly what it sounds like. Check here for RTs, responses and people liking your Tweets. If someone has mentioned you in their Tweet you’ll see an “@” symbol next to your name. Responding to every Tweet isn’t necessary, but do respond when it’s important. Direct messages, also called “DMs,” are private messages sent between Twitter users. Use this feature as a means to answer any questions or concerns constituents have. In a 2015 survey the Pew Research Center found that only 23% of internet users have Twitter accounts. Broken down, that’s 25% of men and 21% of women, with the largest age demographic falling between ages 18 through 29. This percentage seems low, but it actually translates to 310 million monthly users. In addition, 510 million people visit the site per month, even if they don’t have an account. This equates to a big group of site visitors every day, account or not. According to Twitter, 76% of people said they were likely to recommend a brand following friendly service, while 82% of people said they were unlikely to recommend a brand following bad service. Consider responding to constituents a part of your campaign’s routine customer service. When you’re running a campaign, you are your brand. Keep in mind that Tweets have far a reach due to Twitter’s sheer number of users, alone. Respond to people as needed and appropriately. Your response could either spread useful information or hurt your popularity. What do I share on Twitter? Think of Twitter as a bridge to long-form content. It is a microblogging site, after all! Let’s say you’ve written a great blog explaining your cause and why you’re passionate about it. Help the world see it. Send out a Tweet with a shortened link to your post. Don’t forget to use a hashtag so that users can find your Tweet, but don’t go overboard. Use the most relevant hashtag you can. Retweets are a great way to get the word out. Have a speaking engagement? Find or make a relevant hashtag. Search for it and retweet someone who is also attending the same event. This keeps your Twitter content fresh while connecting you with new followers and potential voters. Like Facebook, advertising on Twitter is simple. Users can pay for promoted posts or accounts, along with clicks-to-web ads. Other ads include app promotion, video streams, and of course, more followers. One thing to keep in mind when running ads to increase followers: Twitter estimates that 23 million users are actually bots. What is a Twitter bot? It’s a fake account with a set algorithm that follows a chain of commands. Some bots are helpful and do things as simple as retweeting certain posts or liking random Tweets. Some bots are more sinister and attempt to violate Twitter’s user agreement and send spam. With any campaign or cause, attracting fake followers is possible. Be sure to actively engage with followers to weed out negative and fake accounts. 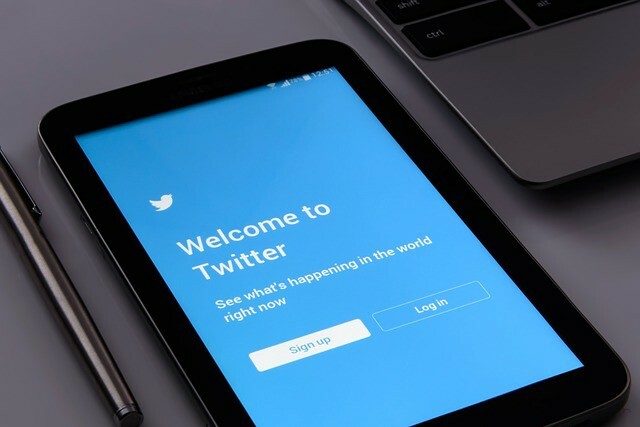 It may not be as as popular as Facebook, but virtually all candidates and causes are on Twitter to enhance their digital footprint. Even if Twitter doesn’t seem to be a useful tool, try it! It’s free. More importantly? It makes your campaign or cause easily accessible. Social media is a network of connections. Exploring different platforms and finding out what works and what doesn’t is the best way to shape your digital strategy. Of course, it’s okay if social media isn’t your bag. In that case, we would recommend you hire the experts — we know a few. PrevPreviousStart building the rock-solid website your down-ballot campaign needs. No code required.